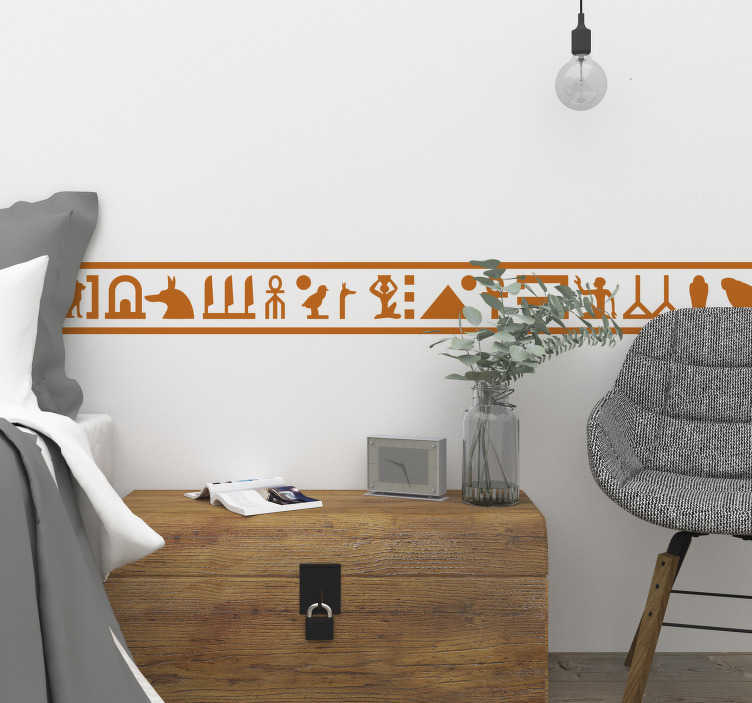 Decorate your wall with this fantastic Egyptian style hieroglyphics sticker! Hieroglyphics is widely accepted as the first ever form of written communication and art, so why not pay homage to such an important writing style with this gorgeous home decal? Perfect to act as a border around your room to add that final touch of home decor!